Product prices and availability are accurate as of 2019-04-25 01:19:47 BST and are subject to change. Any price and availability information displayed on http://www.amazon.co.uk/ at the time of purchase will apply to the purchase of this product. Fantastic set of four Maxwell Williams 13.5cm/5.3" 'Microstoven' range flameproof glazed Spodumene stoneware mini tagine cooking pots. Literally translating to 'earthenware pot' traditional Moroccan Style tagines are used throughout North Africa/the Mediterranean for cooking. Mini versions ideal for serving starters, storing herbs or condiments and use in caravans or where there is limited space. Double inner non-stick coating of Whitford's Xylan. Perfect for tantalisingly succulent meat dishes and great for healthy vegetarian options. During use, steam collects and condenses in the cone shaped lid to be absorbed back into the food for authentic, mouth wateringly tender slow cooked casseroles and exotic dishes. Brilliant on the stove, into the oven then after cooling onto the table for serving, durable yet lightweight. Unparalleled versatility, Spodumene being a key ingredient in the ceramic glaze coating, creating an extremely thermal shock resistant, flameproof stoneware body making each tagine suitable for use on gas, electric and ceramic stove tops, AGA cookers and adds oven, microwave, dishwasher and freezer safe properties. Does not take on flavour from previously cooked dishes. 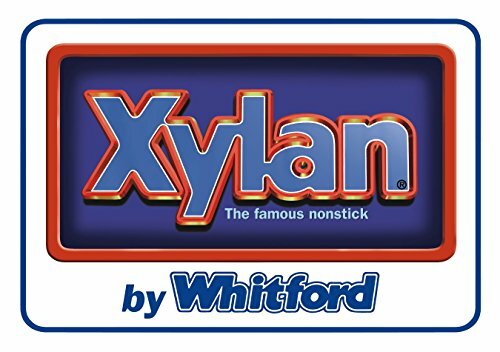 Whitford's Xylan is the benchmark for non-stick. Safe, PFOA-free with low friction resistance, greatly reducing the chance of food sticking. Easy cleaning in the dishwasher or by hand with a soft sponge and warm soapy water. Scratch resistant when using wooden, nylon or silicone cooking tools. - Fully glazed lids and bases with traditional red/orange colouring. - Dish dimensions 13.5cm/5.3" overall diameter, 11cm/4.3" inner diameter and 2.5cm/1" depth for holding food. Lid 6.5cm/2.5" in height. Please note:Medium temperatures of up to 200°C/400°F should be used. Avoid metal scourers or kitchen tools. Detailed care instructions provided on box. Perfect for creating tantalisingly succulent meat dishes of lamb, chicken, beef or fish and great for healthy vegetarian options. During use, steam collects and condenses in the cone shaped lid and is absorbed back into the food for authentic, mouth wateringly tender slow cooked casseroles and exotic dishes. Absolutely brilliant for use on the stove for browning, straight into the oven for braising and then after a little cooling - onto the table for serving, incredibly durable yet lightweight. Unparalleled versatility, Spodumene being a key ingredient in the ceramic glaze coating liberally applied to each stoneware mini tagine. Mined in the outback of Australia this incredible mineral creates an extremely thermal shock resistant, flameproof stoneware body making each tagine suitable for use on gas, electric and ceramic stove tops, AGA cookers and adds oven, microwave, dishwasher and freezer safe properties. Unlike earthenware does not take on flavour from previously cooked dishes. The double coating of Whitford's XylanTM is the benchmark for non-stick. It is safe - PFOA-free, has a low friction resistance, greatly reducing the chance of food sticking. It makes for easy cleaning in the dishwasher or simply by hand with a soft sponge and warm, soapy water. Highly resistant to scratches when using wooden, nylon or silicone cooking tools. A non-stick coating that has been tried, tested and recommended the world over. 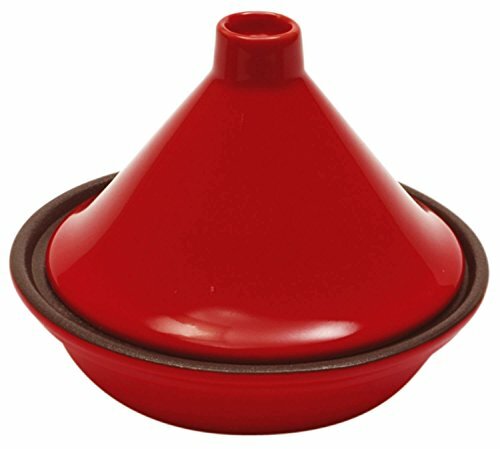 Each mini tagine has a fully glazed lid and base with attractive traditional red/orange colouring. Three small feet reduce contact with the table making your Microstoven cookware easy to pass around while eating. Fully retail packaged, making perfect gifts. 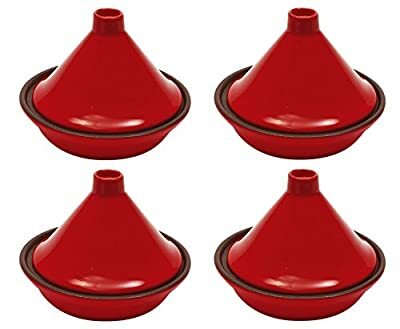 Each tagine dish itself has an approximate 13.5cm/5.3" overall diameter, 11cm/4.3" inner diameter and 2.5cm/1" depth for holding food. The lid is approximately 6.5cm/2.5" in height. Fantastic set of four Maxwell Williams 13.5cm/5.3" 'Microstoven' range flameproof glazed Spodumene stoneware mini tagine cooking pots. Literally translating to 'earthenware pot' these traditional Moroccan Style tagines are used in Algeria, Tunisia and throughout North Africa/the Mediterranean for cooking. These mini versions are ideal for serving starters, storing herbs, spices or condiments and for use in caravans where space is at a premium. Double inner non-stick coating of Whitford's XylanTM.